You may have heard about Pawpaw (Papaya, Papaw) – and perhaps you have heard of McArthur Skincare or McArthur Pawpaw Extract™. It was in the remote rainforests of Borneo that the co-founder of McArthur Skincare first observed local villagers using Pawpaw (Carica Papaya, Papaw) on their skin. At McArthur Skincare we refined McArthur Pawpaw Extract™ enabling us to create the only cream with 60% Pawpaw extract concentration. 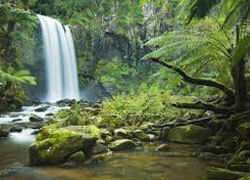 The McArthur Skincare range of skin, body and hair care products all contain our unique McArthur Pawpaw Extract™. 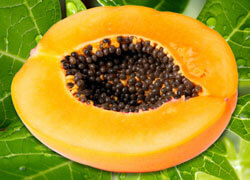 How do we formulate Pawpaw (Papaya, Papaw) based products? All of our products outline on their front label the percentage of our Pawpaw extract in them. This enables an easy comparison to discover that the products from McArthur Skincare have higher concentrations of Pawpaw extract in creams than any other Pawpaw skincare brands. We are proud that we have customers reporting their delight with our entire range. We are privileged to be operating in one of the most pristine growing environments in the world, and since we are a 100% Australian owned and operated company, we choose to use Australian grown Pawpaw (Papaya, Papaw) only throughout the McArthur Skincare range. Petrochemicals come from petroleum and may be found in petroleum jellies and waxes. These are non-organic substances that act as a barrier. Sulphates: These are generally drying ingredients. Parabens: A chemical often used as a preservative to inhibit bacterial growth. At McArthur Skincare, our entire team is dedicated to helping you feel and look your best. 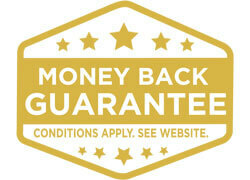 We love our products so much that if you do not love them too we will happily provide a refund. If you would like to know more about our range, or give us feedback on any of our products, we would love to hear from you. We are passionate about growing the McArthur Skincare business to a point that enables us to distribute our products around the world and achieving our goal. Your well-being is at the heart of everything we do. When we perfected McArthur Pawpaw Extract™ we were able to create our unique products with high percentages of Pawpaw (Papaya, Papaw) extract concentration – up to 60%. McArthur Pawpaw Extract™ is produced exclusively by us. Our McArthur Skincare’s Cosmetic Range, are specially formulated with our signature McArthur Pawpaw Extract™.